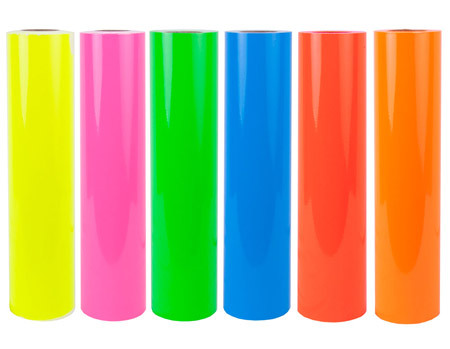 FDC series 2700 Promotional Fluorescent Vinyl film - This is a premium cast fluorescent vinyl film with a 24-month outdoor durability. This product can be used for marine applications, automotive aftermarket windshield graphics. P.O.P., short-term signage. Works well on flat, simple curves, and corrugations and also be used as accent stripes. To order punched material, use part number 2750.